Very nice. I particularly like how they look open. Do these have screens? Money? Who needs money? Isn’t sweat equity enough? lol. 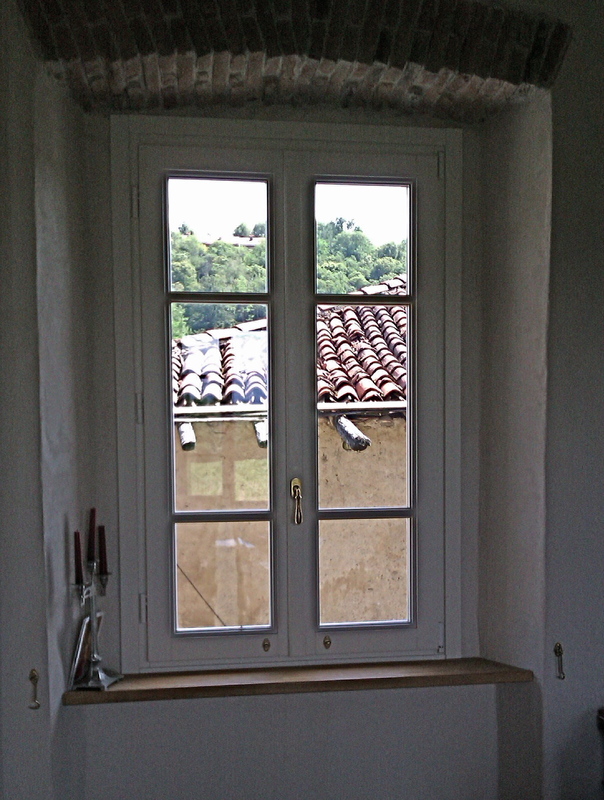 Screens are not typical in Italy, although it is possible to get them. The scrolling type that hide when you don’t need them are nice because they don’t spoil the open view when they aren’t needed – but those are expensive! You would not believe the amount of sweat equity L&F have put into their place – HUGE effort. Great results. 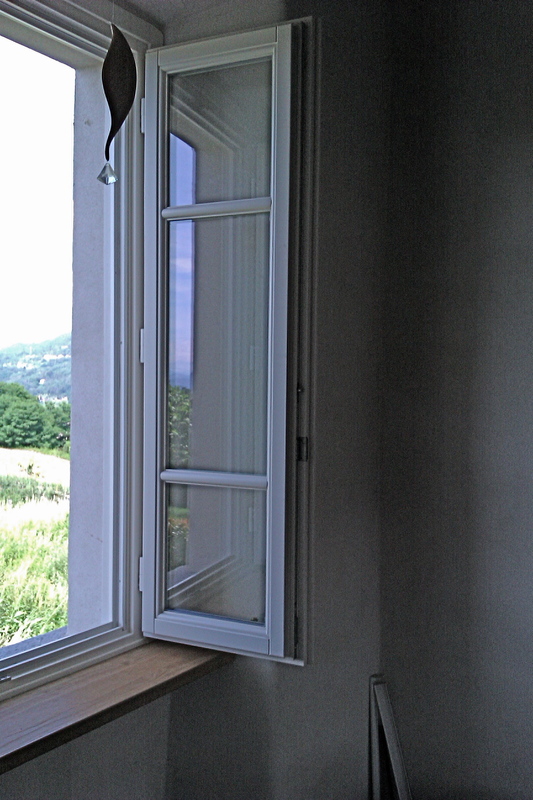 The shutter colour was prescribed to be green for the whole cascina: “RAL 6009 not glossy”, as well as the windows had to be white: “RAL 9001, not glossy”. I gladly agreed with this choice. 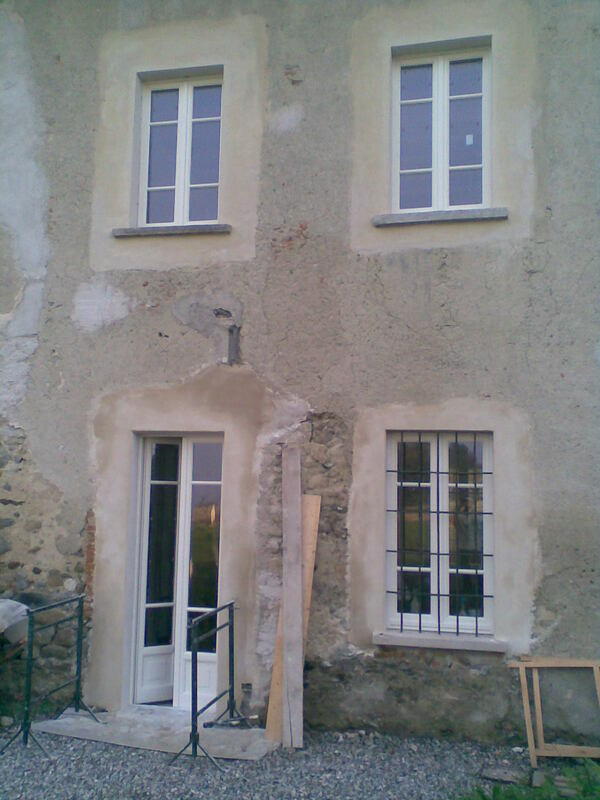 At present moment internal walls are not painted: just pre-finished with fine plaster. The product name is “Intonachino fine Biocalce” of italian manufacturer Kerakoll. It looks between cream and gray. Excellent product, expensive but rewarding and easy to stick on. Many thanks for your pics and your contribution to this whole discussion. I’m very glad you’re there to share your hard-won knowledge. 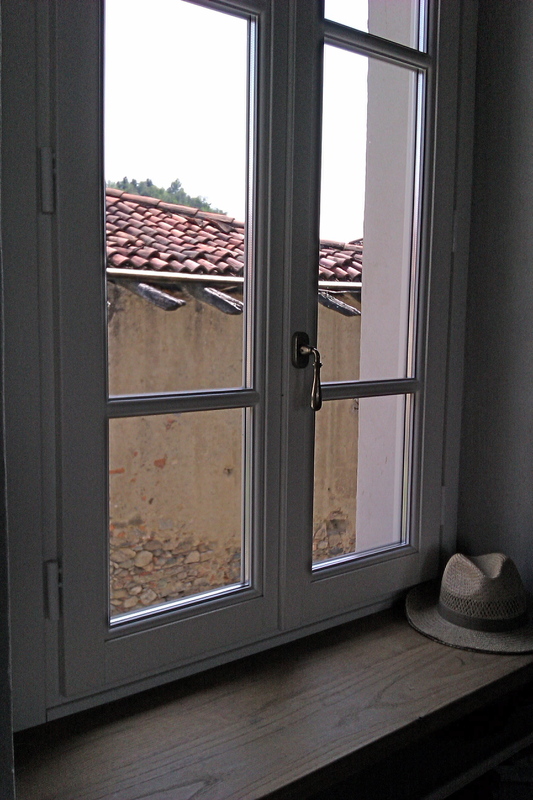 See Luca’s reply – his shutters have to be green as his house is part of a larger cascina. I think they will look lovely.